Actress, model and martial artist Celina Jade has been on the scene—and the big screen—for some time. But it was 2017 box office smash Wolf Warrior 2, the highest- grossing Chinese film ever, that propelled her to new-found fame. 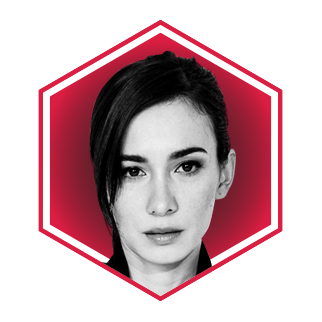 Previously known for her role as Shado in the US TV series Arrow, her recent success has seen her return to the martial arts-infused roles that she worked on a decade earlier in movies such as Legendary Assassin. Wolf Warrior 2 has opened new opportunities for the Hong Kong-born actress—look out for her in forthcoming big- budget Chinese comedy Hello, Mrs Money, as well as director Cao Baoping’s Perfect Blue, alongside Fan Bingbing. With more projects planned, Celina looks set to become a household name on both sides of the Pacific.